We are so excited to announce that we have 2 upcoming trunk shows this month! 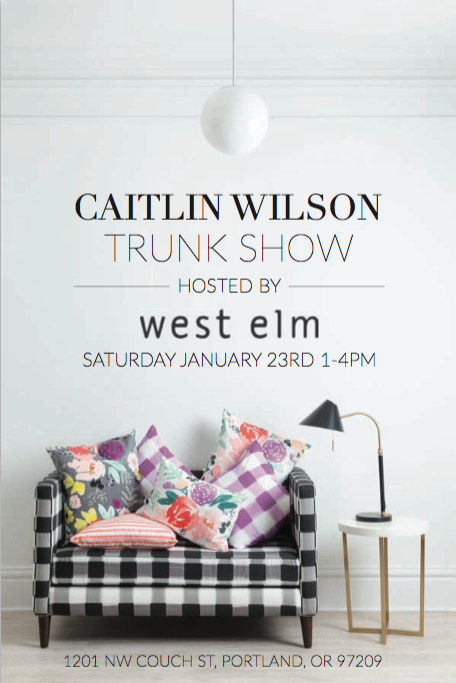 Our first trunk show will be on Saturday, January 23rd at West Elm’s Portland location. We will be there from 1-4pm with plenty of rugs, pillows, wallpaper, and accessories (all 10% off) ! 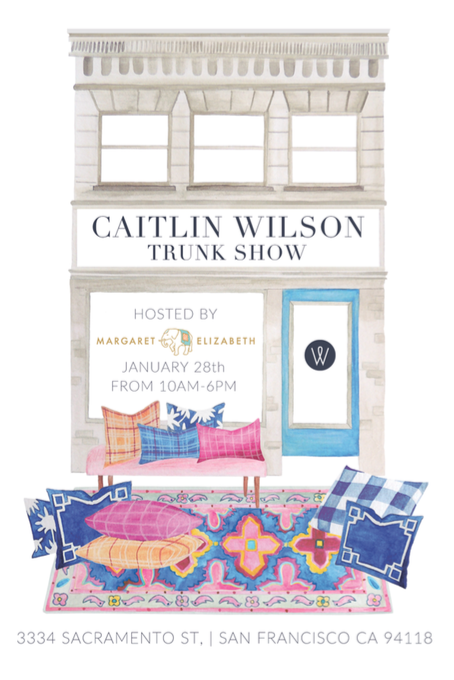 Our second trunk show is happening in San Francisco on Thursday, January 28th at Margaret Elizabeth Jewelry on Sacramento Street. We will be there from 10AM-6PM. Join us for treats, giveaways, and 20% OFF CW product! How exciting to hear that you will be sharing your products close by. Anychance you will eventually come to Seattle? I hope that you will. Love you rstory. Thank you! Our design studio is based out of Portland, Oregon so hosting an event/trunk show in Seattle is something we’re hoping to do in the next few months. If you have any suggestions on particular areas in Seattle that you think would be a good fit for us to host an event, we’d love to hear any insight you have! Too bad I can not travel this period of time. I really enjoy trunk shows. Always an opportunity to buy something special.